The 11th Annual Tri for the Kids Triathlon is a sure bet for a great, safe, fun and competitive race for our youth! Held on Darlington School's campus for youth ages 6–15. Includes divisions for Expert, Beginner, and Physically Challenged triathletes. 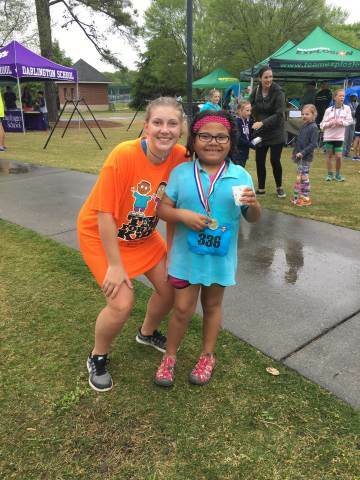 The expert category is open to youth ages 6-15 who have completed three or more triathlons and want to "take it to the next level of competition!" The beginner race is open to youth ages 6-15 who are just starting out in triathlons or want a slightly less competitive atmosphere. The Physically Challenged division does have race buddies available to assist the athletes through the race. Contact Beth Smith, Tri for the Kids race coordinator, with any questions.